KRG Field Investigators are encouraged to acquire their own basic equipment, including an EMF meter, thermometer, digital recorder, flashlight, and camera. _The IOD40 Ion Field Detector very versatile tool detects both positive and negative electric fields produced by ions, and ultra low static fields. This unit is sensitive enough to detect the minute charge produced by just rubbing a piece of plastic and bringing the probe in proximity. It easily measures the electric field during a thunder storm or other high static conditions long before the storm arrives. It has been observed that certain paranormal activity is often accompanied by a distortion of the electric field. These changing fields are usually too weak to be detected by conventional detectors. 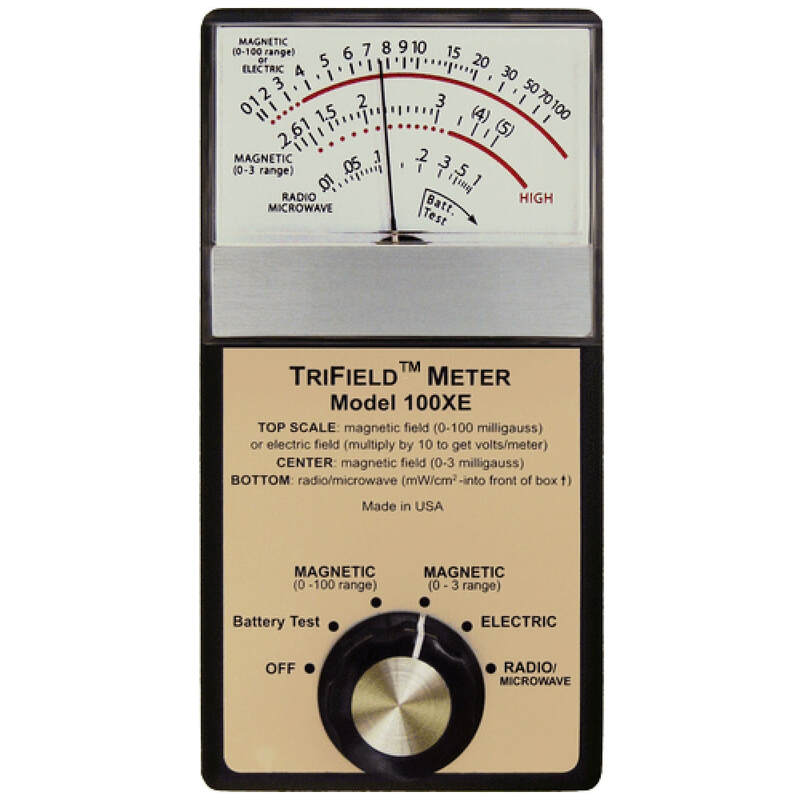 The Trifield Meter is a gaussmeter, electric field meter and radio field strength meter in a single unit. When measuring electromagnetic fields (EMFs), the primary concern is usually magnetic fields, which can be tricky to measure. It was designed for precision measurement. As paranormal investigators, we require precision on minimal changes. If a less sophisticated 1-axis gaussmeter is used, a reading of zero could result even where the field is strong. A 1-axis meter must be oriented correctly to measure the field (which is a vector). The 3-axis Trifield Meter solves that problem by measuring the true strength of the field regardless of which way it is oriented. Therefore, the Trifield Meter can be scanned rapidly across an area without having to stop at each point to search for the orientation that gives a maximum reading. 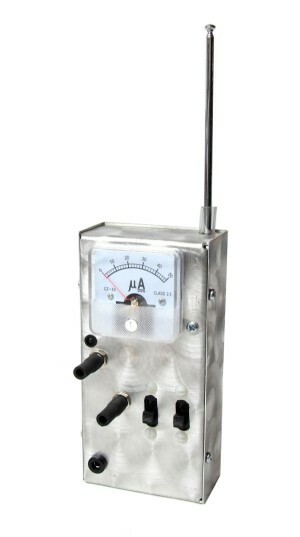 Another section of the meter detects AC electric fields, which can exist independently of AC magnetic field. The third section detects radio/microwave, such as from a leaky microwave oven. Analog (needle-) display has very fast response time compared to digital. 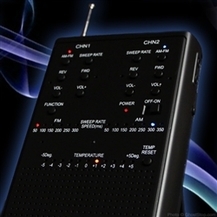 The NEW P-SB11 Spirit Box (Dual AM/FM Frequency Sweep) is a great tool with great new features for attempting communication with paranormal entities. It uses radio frequency sweeps to generate white noise which theories suggest give some entities the energy they need to be heard. When this occurs you will sometimes hear voices or sounds coming through the static in an attempt to communicate. This new model, following the success of the SB7, includes many new features for paranormal investigations and communication with the beyond. Itutilizes a millisecond adjustable forward or reverse frequency "sweep" technique coupled with a proprietary high frequency synthetic noise or "white noise" distributed between frequency steps. When used by a properly trained individual, under certain circumstances, the P-SB11 will provide results similar that of an EVP recorder, but in real time. This detector uses a sensitive MPF102 Field Effect Transistor (FET) with a gate wire acting as an antenna detecting negative static charges. The red LED turns off indicating a negatively charged static field. The blinking of the LED usually indicates spirit presence. Red is the only color that will not interfere with your eye's natural night vision. _The Radiant Energy Probe - Dubbed "The Wand"- detects energy fields produced by electrical activity and other unknown anomalies. It uses no batteries or other sources of power yet detects very weak and virtually unnoticed energy fields. It can also provide a three dimensional output "footprint" of medical healing machines such as LAKHOVSKY coils, High voltage generators, Ion machines, Dangerous lightning levels, Power line E field gradients, High frequency radiation from TESLA coils and similar devices. This apparatus is electrically balanced and is the probe used by some paranormal researchers. 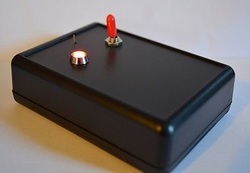 The K-II meter is an Electromagnetic Field Detector (EMF) that is specially configured for use in the paranormal field. It detects spikes in electromagnetic energy. The Thermal Leak Detector is used to detect minute drops in temperature. It records the temperatures before and after any changes are detected, signifying a rise or fall in temperature that sometimes accompanies a ghost sighting. The iSmart Night Vision DVR system utilizes a powerful infrared night vision, its 4 cameras can clearly see up to 65 ft away, and all video records to a 500GB hard drive. Your standard DVR setup. *Not pictured are our dowsing rods, pedulums, and various EMF detectors.